We highly recommend South Africa as a safari destination. Not only is it home to Southern Africa's most diverse wilderness area - the Kruger National Park - but there are also a wealth of alternative safari destinations to choose from. The most popular South Africa safari areas include the Kruger National Park and the private game reserves which form part of it, like the Sabi Sand and the Timbavati. 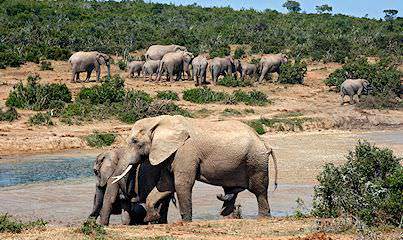 The Eastern Cape also offers exceptional safaris at both the Addo Elephant National Park and Shamwari Private Game Reserve. 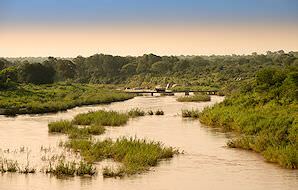 The densely wooded Zululand can be experienced on safaris in Hluhluwe and Phinda. The malaria-free areas of northern South Africa, like Madikwe and Welgevonden, have also become increasingly popular safari destinations in recent years. Our private overland safaris explore South Africa's myriad national parks in the expert company of an experienced African Sky guide. Accommodations are typically basic but comfortable, offering an affordable alternative for guests with budget constraints. 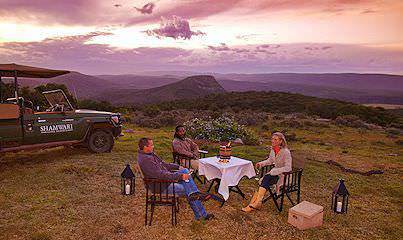 Our most popular overland safaris explore the Kruger National Park, Addo and Hluhluwe-iMfolozi Game Reserve. Our personal four star safaris offer fantastic value for money in spectacular wilderness areas, like private concessions within the Kruger National Park and the lesser frequented Greater Kruger game reserves like Balule and Kapama. These safaris are slightly less inclusive - for example, drinks may often be excluded - but three meals daily and unforgettable safari activities are the norm. The luxury five star safaris offered by African Sky harmonize the needs between the desire for sumptuousness and the limits of a more moderate budget. 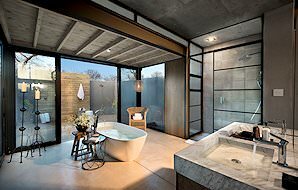 These safari lodges are typically scattered across South Africa's private game reserves, like Timbavati, Phinda and Shamwari, as well Botswana's Chobe National Park and Namibia's Etosha National Park. Our exclusive top-end safaris include the most palatial yet intimate safari lodges in the most remote, beguiling settings. Your full board accommodation will include all the bells and whistles, from mouth-watering gourmet meals to safari activities like traditional 4x4 game drives and mokoro safaris. 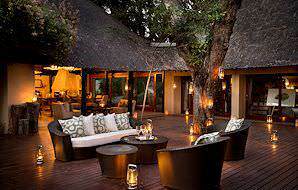 Popular destinations include the Sabi Sand, Mala Mala, South Luangwa and the Okavango Delta. Have a specific combination of South African safari destinations that you would like to include in your travels? Opt for a tailor-made safari and we will ensure that all your personal needs are met. When considering your tailor-made safari in South Africa, kindly advise us regarding your ideal duration, preferred budget and any specific interests that you may have. An in-depth exploration of South Africa's major safari areas, including Kruger, Ithala, Hluhluwe-iMfolozi, Addo and Pilanesberg. Relish unforgettable safari experiences in South Africa's Sabi Sand, Zimbabwe's Matetsi wilderness and Chobe and the Okavango Delta in Botswana. Enjoy a luxurious, five star safari adventure that includes three of South Africa's top private game reserves - Sabi Sand, Shamwari and Phinda. A guided overland safari that includes accommodation in three different Kruger National Park rest camps for a wide range of encounters. 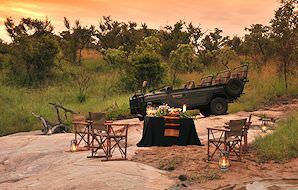 From the authentically wild two million hectares of the Greater Kruger National Park to Phinda Private Game Reserve's seven unique semi-coastal eco-systems and the red sands of the Kalahari Desert, South Africa's diversity of wilderness areas is incomparable. This means that you can return for a novel, unique safari experience again and again. Of all the Southern African countries that we offer safaris to, South Africa offers the best value for money. Although this is partially due to the weakness of the South African Rand and favorable exchange rates for foreign visitors, meals, accommodation and transport tend towards the more affordable end of the scale in terms of overall international travel. South Africa's well-developed infrastructure makes it much quicker and easier to reach far-flung safari destinations than in any other African country. Commercial flights are almost always an option, as are overland transfers. This fact invariably reduces the cost of your safari. This in no way makes a South African safari an over-commercialized experience devoid of true wilderness encounters. 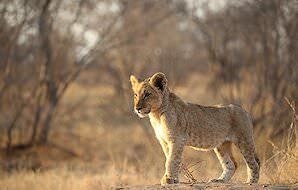 The Kruger National Park is home to 147 species of mammals, including the Big Five. Combine luxury lodgings with the pristine wilderness of the Greater Kruger. Phinda's contrasting environments make it a most captivating safari destination. 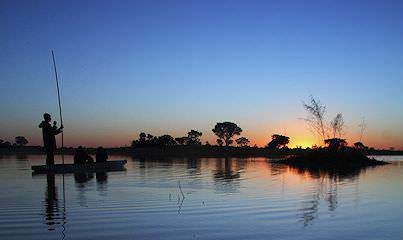 Shamwari is located in South Africa's Eastern Cape province. Due to its wealth of diverse reserves and national parks, South Africa is the finest place on the continent to enjoy a Big Five safari. An encounter with one or more of these extraordinary mammals will prove one of the most memorable experiences of your safari in South Africa. Be sure to have a camera handy! There's a solid reason that African sunsets are the stuff of legend. Regardless of which wilderness area you are enjoying your safari in, with no pollution to interfere with the natural artistry of the skies, the vision will take your breath away. Sip on a cocktail while observing an effervescent blend of pink, gold and auburn. Any wilderness on the continent bears its own wild orchestra, providing a hypnotic soundtrack to your safari activities. From the heart-stoppingly beautiful cry of the fish eagle and the haunting hoots of owls to the spine-tingling reverberation of a lion's roar and the eerie laughter of hyenas, the call of the wild will be ever present. Should I opt for an overland safari or a fly-in safari? This depends largely on your budget. Overland safaris are generally more affordable and offer the opportunity to see more of the country, while fly-in safaris tend to the more expensive side but save travel time. Why are overland safaris only available in South Africa and not elsewhere?? South Africa's fine infrastructure, and particularly the decent infrastructure inside its national parks, make it viable for overland safaris. Our guides are also all conveniently based in South Africa. Where can I go on safari where malaria isn't a risk? Madikwe, Welgevonden, Marakele and Pilanesberg are all malaria-free wilderness areas not far from Johannesburg. In the Eastern Cape, Shamwari and Addo bear no risk of malaria. What makes the Kruger National Park the best South African safari destination? The Kruger National Park's size, well-preserved environmental authenticity and unparalleled diversity make it the premier safari destination in Southern Africa. Are any water-based safari activities available in South Africa? Safari cruises are available at the Marataba Private Game Reserve that forms part of Marakele National Park, as well as Phinda Private Game Reserve in KwaZulu-Natal. Canoe safaris are also an option at Phinda. 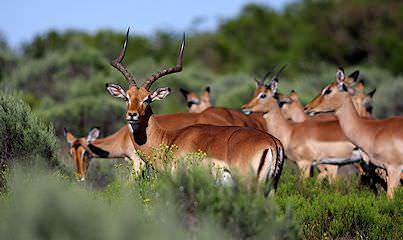 Are charter flights necessary to reach South Africa's safari areas? Commercial flights are available to within a stone's throw of the majority of South Africa's safari areas - charter flights would really only be used by choice if you are keen for something different. When is the best time to enjoy a safari in South Africa? The winter months between May and August are ideal for game viewing, as daytime temperatures are more moderate and the lack of rain means that vegetation becomes sparse, meaning less obstructions. Animals also converge around remaining water sources during this time, making them easier to track down. Nevertheless, you can enjoy safaris year-round in South Africa, and even in the summertime it tends to be less hot and humid than further north in Zambia and Botswana. Are there family-friendly safari lodges? Yes - Madikwe and Shamwari both have lodges that are aimed specifically at ensuring that every member of the family - no matter old or how young - is able to take full advantage of their South African safari. Besides traditional 4x4 game drives, are other safari activities available? Yes - many lodges also offer bush walks for a more intimate exploration of South Africa's wilderness areas. This is usually subject to weather conditions and availability of rangers, and certain lodges require pre-booking for the activity. What is the ideal duration for a South African safari? The minimum duration that we recommend for a safari is three nights. This allows guests to fully immerse themselves in the experience, relax and also ensures ample time to encounter a wealth of wildlife. If you are after a longer safari, we would recommend alternating between different lodges or locations to keep the experience fresh so that you are not traversing the same area for more than three days. Botswana safaris typically include water-based game viewing activities. Namibia's bewitching desert landscapes make for stunning safari backdrops. Zambia's stunning national parks include Kafue, Lower Zambezi & South Luangwa. Zimbabwe is best known for its dramatic view of the awe-inspiring Victoria Falls. The Kruger National Park is South Africa's largest and most diverse conservation area, protecting 147 different species of mammals. A luxury safari with African Sky will include everything from your domestic flights and transfers to your delicious meals and exciting safari activities. The Big Five are the continent's most awe-inspiring mammals and include the lion, leopard, elephant, buffalo and rhino. The African lodges included in our packages range from basic tented camps to opulent lodges fitted with every creature comfort.